When selecting the right bathing option for your bathroom it is important to consider a few things. First, how much usage will it get? You do not necessarily want to put the nicest fixtures in the guest bathroom, and probably want all the bells and whistles for the master. With reputable manufacturers like American Standard, Thermasol, Swanstone, and TOTO, PlumbersStock is certain to have the discount bath or shower for you. The next thing that should be taken into consideration is the size and structure of the bathroom. Not every bathroom will have enough space for a freestanding tub. It is important to consider where the bathtub or shower will be located because the bathroom must be able to support the kind of features you are looking to include. Consider which bathroom you are shopping for. Is it a kids' bathroom, guest bathroom, high traffic area bathroom, or master? Get the discount bathtub or shower that addresses your needs. Soaker tubs are larger than a standard size tub. They offer the comfort of soaking without the need of electricity to run air bubbles or jets. 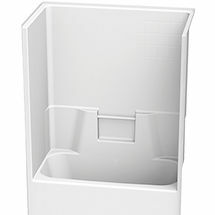 Soaker tubs to not come with the option of any jets or air bubbles. 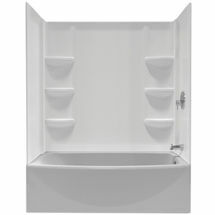 Freestanding tubs are ideal if you have the space and money to install one of these elegant units. 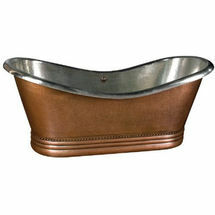 Jetted tubs are perfect for relaxation when a little bit more room if optional in a bathroom. Jet tubs have the jets coming in from the sides rather than the bottom as an air bath would. 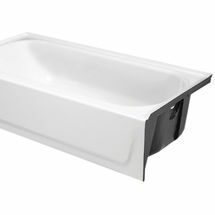 Alcove tubs are smaller than a soaker tub or jetted tub. Standard tubs do come with the option of customization within a certain size range. Walk-in showers allow the user to simply step into the individual shower unit. This is an inexpensive and space-saving solution for many homeowners. These make the best bathroom shower when space is limited. 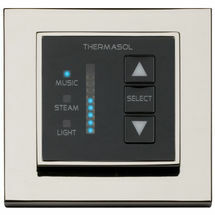 Steam showers are becoming more and more popular for those individuals that are looking for an in-home spa experience. They are also becoming a popular option for saving water. 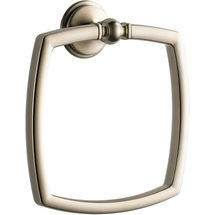 Be sure to check out our discount shower faucets and bathtub faucets for your new tub and/or shower. Save on bathroom accessories while you're at it.